The heart of St Birinus School is the high quality teaching and learning that takes place in every lesson, every day. St Birinus teachers are experts in their subject areas and this is demonstrated through carefully designed, 7 year curriculums that offer stimulating and engaging routes through learning. Depth and breadth in learning is important to us and our students make good progress by developing critical skills which they learn how to apply confidently and independently. Meticulously planned schemes of learning, assessment and response in all faculty areas ensure that Saint Birinus students consistently experience thoughtful lessons. Teachers take care to differentiate and personalise all lessons to best support the different learning needs of the individuals in their classes. Research shows us that students who have a clear understanding of exactly what they need to do to be successful are more confident learners and make better progress. We use Bronze, Silver and Gold learning outcomes in every lesson to make it clear to the students what they need to aim to achieve by the end of the lesson. The learning outcomes are explained by the class teacher at the start of the lesson and are visible throughout the lesson as a constant reminder of how to be successful. The different outcomes represent different levels of challenge within a lesson. At the end of each lesson students will be able to use the outcomes to assess what they have achieved and what their next steps to success need to be. SBS Challenge tasks are also included in lessons to provide extra stretch and challenge for our most capable and motivated learners. 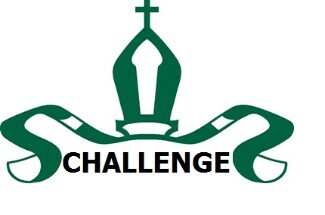 The ‘SBS Challenge Logo’ indicates an extra layer to a learning task, a more challenging alternative to a learning task or extension work that pushes to another level of understanding. Students at Saint Birinus School receive continuous, high quality, responsive verbal feedback that allows them to overcome misconceptions quickly and make immediate progress in lesson time. The verbal feedback is consolidated by our use of CAR marking which provides regular, formative written feedback for students. Students are given planned response time in lessons that enables them to process this feedback and act thoughtfully on the guidance offered. All teachers use CAR marking stickers to clearly indicate where formative written feedback is being given. CAR feedback will be provided for each student for every 6 - 8 hours of teaching and learning in a subject area. CAR marking provides entirely personalised feedback and teachers take the educational needs of all students into account when formulating comments and creating actions for improvement. The teacher will provide a comment that is entirely positive. The comment will focus on aspects of the work that is particularly good; content that has been included or a skill that has been demonstrated. The comment should clarify why the content/skill shown is good. The teacher will identify specific things that will improve the piece of work or extend the learning of the student. The teacher will make it clear where the improvement/extension needs to be made. The actions should be in student appropriate language. The response to the actions should be completed by the student in green pen. Teachers expect students to respond thoroughly, purposefully and thoughtfully. Adequate time will be planned into lessons to allow the student responses to be thorough, purposeful and thoughtful.